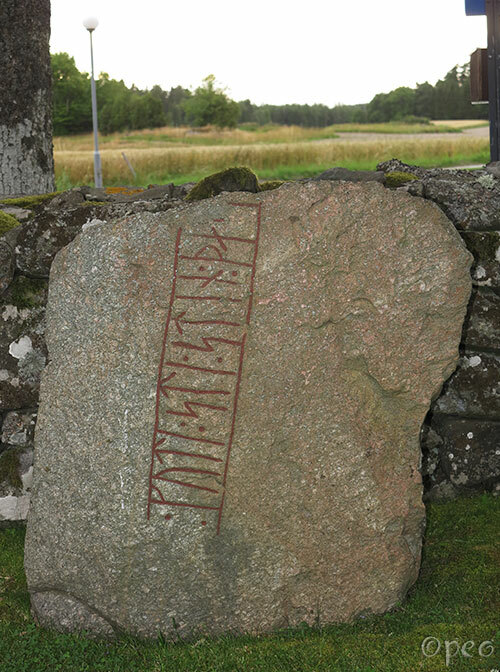 ... this stone in memory of Haklangr(? ), his kinsman-by-marriage. 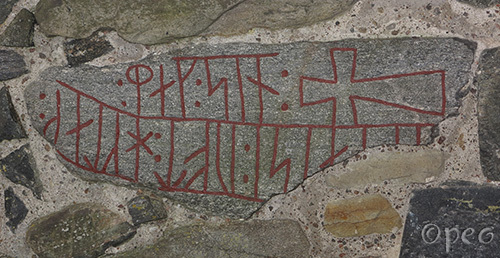 The first rune stone is in the wall of Strö church. The second one is opposite to the entrance.